A staple in northern climates, lilacs (Syringa) are a deciduous shrub that produce a fragrant, cone-shaped cluster of flowers in purple or white. 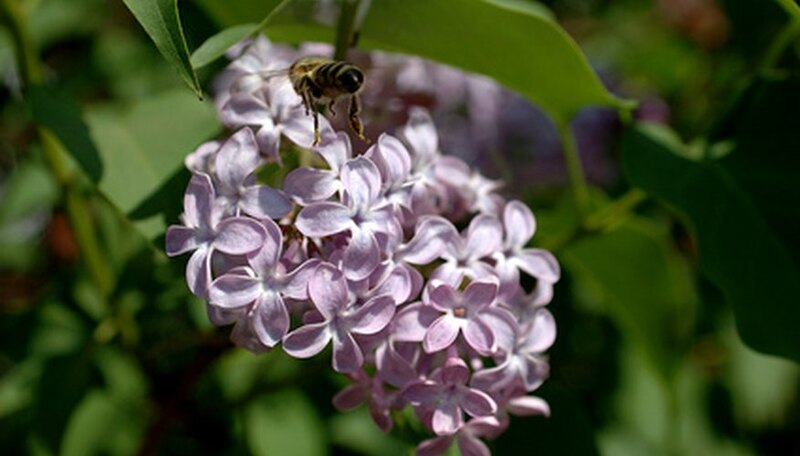 The common lilac (Syringa vulgaris) is the most well-known and can grow to 20 feet in the proper climate. Florida's heat and humidity are not conducive to growing lilacs and these plants will not survive in the central or southern parts of the state. In North Florida and on the panhandle, the 'Blue Skies' and 'Miss Kim' cultivars can survive, and there are some options for similar plants throughout the state. The 'Blue Skies' lilac, a cultivar of the common lilac, can grow to U.S. Department of Agriculture Plant Hardiness Zone 8, as it needs a shorter chill period that standard lilacs for the flower to set. This plant produces a fragrant bloom in late spring to early summer and should be planted in full sun or partial shade. 'Blue Skies,' introduced in 1987, can grow to 10 feet. This lilac prefers neutral to slightly acidic soil and should be watered regularly. Chinese lilac (Syringa x chinensis) is hybrid that has been successful in zones 8 and 9b. The Chinese lilac, which can grow to 10 feet, has a deep purple flower in mid-spring. This lilac is susceptible to powdery mildew and, in Florida, should be planted in partial shade and soil should be kept moist. Also known as the Rouen lilac, this plant fares best in neutral to slightly acidic soil, but cannot tolerate heavy urban pollution. In Florida, this lilac should be planted in the coolest spot in the yard. The lilac vine (Hardenbergia) is native to Australia and is not related to the common lilac. This plant, which can also grow in North Florida, is an evergreen vine that produces long, narrow clusters of flowers in pink, rose, violet or white. Not as fragrant as the common lilac, this plant does well along fences, walls or on pergolas. The lilac vine should be planted in sandy, well-draining soil, requires moderate water and prefers partial shade in Florida's warmer areas. Increase water if the lilac vine begins to wilt. A native of Korea, the 'Miss Kim' lilac (Syringa patula) is particularly fragrant and has a light lavender flower cone. Also known as the Korean or Manchurian lilac, 'Miss Kim' grows into zone 8 and is suited to the state's panhandle and northern Florida. The shrub grows 4 to 9 feet tall and produces pale purple to ice blue flowers. This lilac is resistant to powdery mildew, but does require more water than the common lilac and should be planted in partial shade or in a container in Florida. Due to the high heat of northern Florida summer's, this plant should be watered frequently to avoid wilting.